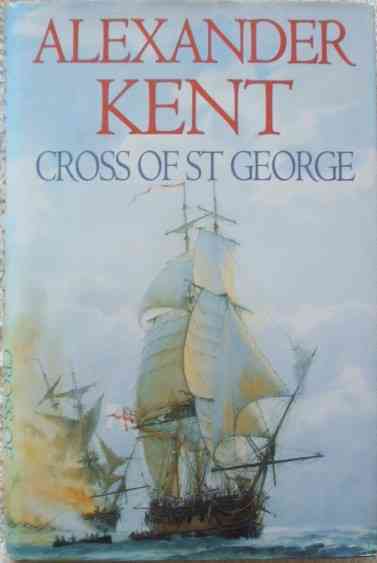 First edition first print hardback of CROSS OF ST GEORGE by Alexander Kent and published by Heinemann in 1996. 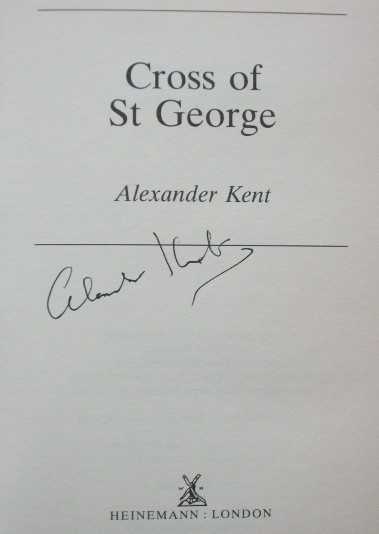 Signed by Kent on the title page. 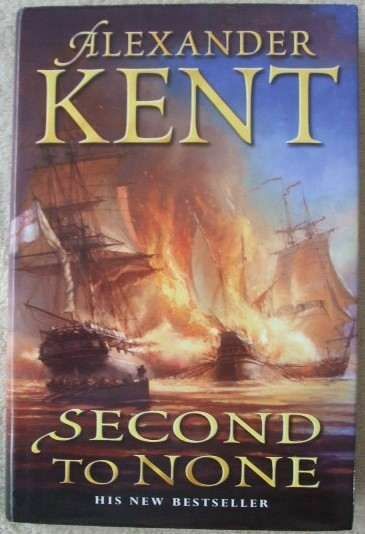 The book is in very good condition (black cloth boards with silver lettering to spine) with light creasing to the spine edges. 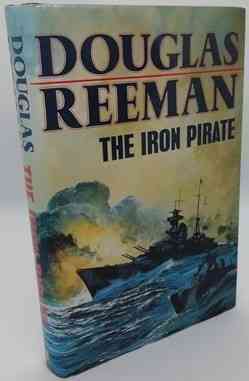 The book is in a very good unclipped dust jacket which has very light scuffing and creasing to the edges. Slight yellowing to page edges. Internally the pages are clean and tight and there are no tears or other inscriptions. 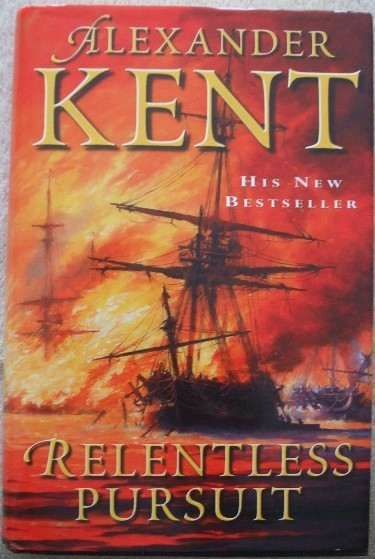 In the bitter February of 1813, with convoys from Canada and the Caribbean falling victim to American privateers, Sir Richard Bolitho returns to Halifax to pursue a war he knows he cannot be won, but which neither Britain nor the United States can afford to lose.